We ask for our New Patients to take the time to print and fill out these Registration forms. Also, watch the Orientation video before coming to your first appointment. For our Spanish speaking patients please use the Spanish version of the registration packet. After filling out the above documents please select the Assessment that pertains to you. Filling out this assessment will give us a better understanding of your severity and it will help us specify the problem. All natural way to lift your mood, improve your memory and protect your brain from age-related cognitive decline. Exercise can do more than just improving physical activity. This spring there were studies that proved any type of exercise that raises your heart rate and gets you moving and sweating for a sustained length of time also known as an aerobic exercise has a significant, overwhelmingly beneficial impact on the brain. The best type of fitness for your mind is any aerobic exercise that you can do regularly and consistently for at least 45 minutes at a time. Another study proved that even 30 minutes on a treadmill walking for 10 consecutive days was “sufficient to produce a clinically relevant and statistically significant reduction in depression.” “Aerobic workouts can help people who aren’t suffering from clinical depression to feel less stressed by reducing their stress levels with the body’s natural hormones, such as adrenaline and cortisol.”-recent study in the Journal of Physical Therapy Science. If you are over 50 years old, a study from the British Journal suggests the best results come from a combination of aerobic exercises and resistance training. Such exercises can include anything from high intensity interval training like a 7-minute workout to dynamic of flow yoga, which interprets strength building poses. Certain poses such as planks and push-ups mix with heart pumping dance like moves . 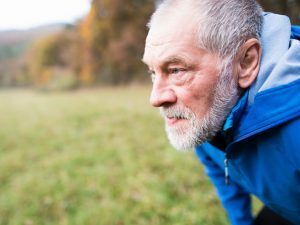 Another study showed that adults 60-88 years old who walked for 30 minutes 4 days a week for 12 weeks strengthened connectivity in regions of the brain with low connectivity that were linked to memory loss. Researchers still haven’t been able to find why and how there is a link between exercise and brain functioning but they have come to the belief that exercise appears to boost the brains function could be related to the fresh energy and oxygen. Older women whom displayed potential symptoms of dementia found that aerobic exercise was linked with an increase in the size of the hippocampus. The hippocampus is a brain area involved in learning and memory. With this being said, isn’t it time to take action for your wellbeing? At Effective Physical Therapy Inc., we are more than happy to help. Please ask us about our various programs that are right for you so can be, do, and have what you deserve. We serve Palm Springs, Lake Clarke Shores, Lake Worth, West Palm Beach, Atlantis, Palm Beach, and Wellington. Please contact us at 561-408-0903 if you would like to make an appointment today. After exercising, your brain will be at peak activity for a few hours. Improvement of your memory, reasoning, and planning take place after 30 mins of spinning on a stationary bike. Exercise is like fertilizer for your brain. Rich capillary beds are not only created in your quads and glutes, but also in your gray matter. The more blood vessels you have traveling through your brain and muscles the more oxygen and nutrients helping them function. 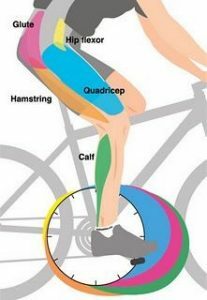 When you pedal, you are forcing nerve cells to fire. This intensifies the creation of proteins like brain-derived neurotrophic factor (BDNF) and a compound called noggin which promotes the formation of new brain cells. This is building your brain and realizing neurotransmitters (the messengers between your brain cells) all these new and old cells are now communicating better and faster. As we age, our brain shrinks and those connections weaken. Exercising restores and protects our organs. A study from the University of Illinois at Urbana-Champaign brought together 59 sedentary volunteers between the ages of 60-79 who either joined an exercise program or were inactive for six months. Results of this experiment conclude that after only three months, people who exercised had the brain volume of those three years younger. “Too little and your brain doesn’t get what it needs to work optimally. Too much and your body has sapped the glucose and other resources it need, so it hindered until it recovers.” The balance is right after 30-60 minutes of aerobic riding at about 75% of your maximum heart rate or an effort of 7 on a scale of 1 (standing) and 10 (going all out). Cycling also has its emotional benefits as it helps elevate your mood, relieve anxiety, increase stress resistance and even banish the blues. James Blumenthal, PhD, Professor of behavioral medicine in the department of psychiatry and behavioral sciences at Duke University had mentioned that, “Exercise works as well as psychotherapy and antidepressants in the treatment of depression, maybe even better.” Another 26-year research proved that 20-30 minutes of exercise a day – can prevent depression over the long term. As you pedal past the 20 to 30-minute mark, other mood lifting chemicals like endorphins and cannabinoids (same family of chemicals that give pot smokers their high) kick in. Riding your bike also helps you to keep hormones like adrenaline and cortisol in check, meaning you’ll feel less stressed and you’ll bounce back from anxiety-filled situations more easily. Keep in mind: Even though exercise is healthy, exercise is also a stress, especially if you are just starting to exercise or ride. What’s the cycling prescription? A recent study on exercise and depression came up with the following guidelines; 3-5 sessions a week, each session being 45-60 minutes keeping your heart rate between 50-85% or your maximum. We provide our services to Palm Springs, Lake Clarke Shores, Greenacres, Lake Worth, Palm Beach, Manalapan, Hypoluxo, and Wellington. Acupuncture has been linked to appetite suppression, and thus to weight loss. One method, discussed in research published in 1998 in the journal “Australian Family Physician,” involves acupuncture treatment to the ears. So how does this work? Australian scientists report that acupuncture stimulates the auricular — or ear — branch of the vagal nerve and raises serotonin levels; this works to increase tone in the smooth muscle of the stomach, which results in appetite suppression. Consult your doctor before beginning any alternative treatments for weight loss. Suffering From Arthritis Inflammation Pain? If you are suffering from pain associated with arthritis inflammation, you understand that this is a persistent problem that comes to be a lot more complexed as the condition advances. It is a difficulty to take care of the day-to-day responsibilities while dealing with discomfort. You become limited in your wide range of movement and also become exhausted from the joint inflammation. The self help tips in this short article could help you to cope with your arthritis inflammation. 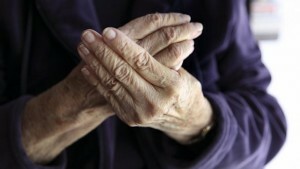 Arthritis inflammation is a tough condition to deal with. When you stress your joints, you have a higher chance of having an arthritis inflammation, as well as the opportunity of your motion being a lot more limited. You must become adjusted to not placing excessive tension on your joints. Even they are not in pain at the time, you must still avoid lifting heavy items, or typing for a long time. You will certainly need to make mindful initiatives at first to protect your joints yet soon, every thing will certainly come to be a practice. While protecting your joints from over use, you still must learn how extending certain muscular tissue groups boosts joint movement. Extending your joints could considerably enhance your day-to-day regimen by lowering the opportunity of discomfort from arthritis inflammation. Many individuals have actually discovered cold and heat therapies to be excellent treatment for arthritis inflammation. Making use of an aged pure cotton sock filled of dry rice as a simple and mess-free treatment of using either warmth or cold packs. Many patients use very hot was baths for their troubled joints. This soothes the arthritis inflammation pain and discomfort by bordering the joint with wax and giving the problem joint penetrating, extreme heat. Vitamins can help to soothe arthritis inflammation. Vitamins such as A, C, and also E along with omega fatty acids are fantastic methods to help with arthritis inflammation. It is not recommended to take a lot of different vitamins, a good multivitamin or a number of medical professional recommended specific vitamins are recommended. Suffering from arthritis inflammation it is recommended to keep anti-inflammatories handy. Ibuprofen can ease arthritis inflammation in as little as 15 mins if taken correctly. The longer you deal with joint inflammation, the much more you are visiting need to locate brand-new methods to fit your problem. In order to proceed doing as several of the many things you like to do as feasible, some modifications might end up being needed. If you use some of the reminders you found out in this write-up, it will certainly make your quest a whole lot much easier. Physical therapy is often the best option for relieving arthritis inflammation. Call us, Effective Physical Therapy to find out how we can help you! Foods that help fight arthritis.